Luis Álvarez-Gaumé has joined the SCGP in September 2016 as the Center’s Director. Dr. Álvarez-Gaumé did his graduate work at the Department of Physics and the Institute for Theoretical Physics at Stony Brook and at MIT and received his PhD from Stony Brook in 1981. After being a Junior Fellow at Harvard and then having faculty positions at Harvard and at Boston University, in1988 Luis became a senior staff member of the Theory Group at CERN, a position he has held ever since. He was long-time Department Head of the Theory Group and is currently its Deputy Head. 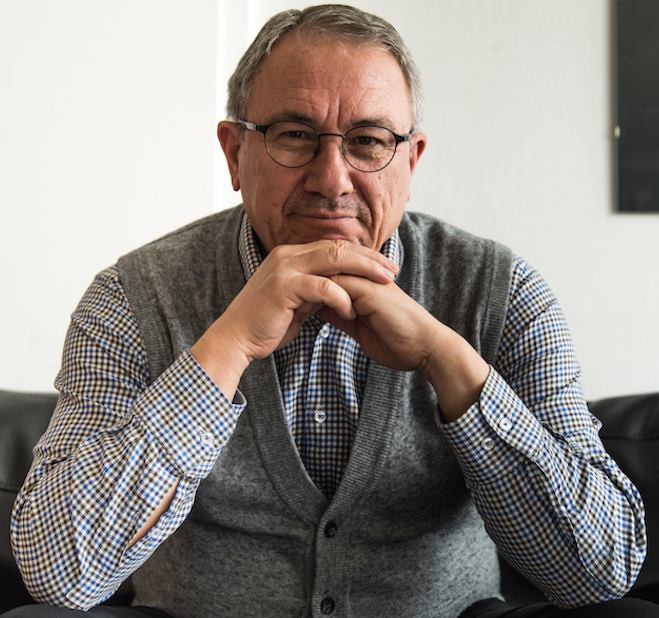 His position at CERN has brought Luis into contact with virtually the entire community of theoretical and experimental high energy physicists and has given him a vast knowledge and understanding of contemporary theoretical physics and cosmology. Luis’ own work includes groundbreaking contributions to string theory and quantum field theory, especially supersymmetric theories. He studied gravitational anomalies that arise in quantum field theories; he gave a proof using supersymmetry of the Atiyah-Singer index theorem in the context of physical theories. More recently he has studied cosmology, in particular inflation and black holes. He has written introductory lectures on Quantum Field Theory and a pedagogical introduction to Seiberg-Witten theory. He is a Corresponding Member of the Spanish Royal Academy of Sciences.